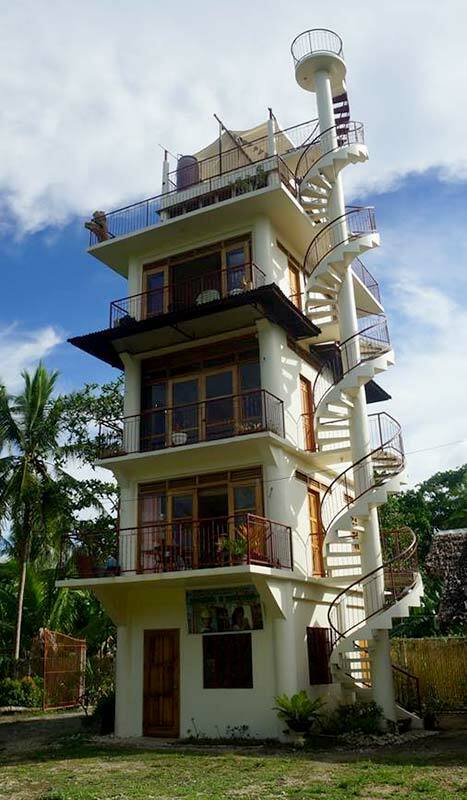 The Tower, located 300 meters from Momo Beach is 5 stories high and has 3 spacious studio rooms for 2 persons (30 sq. 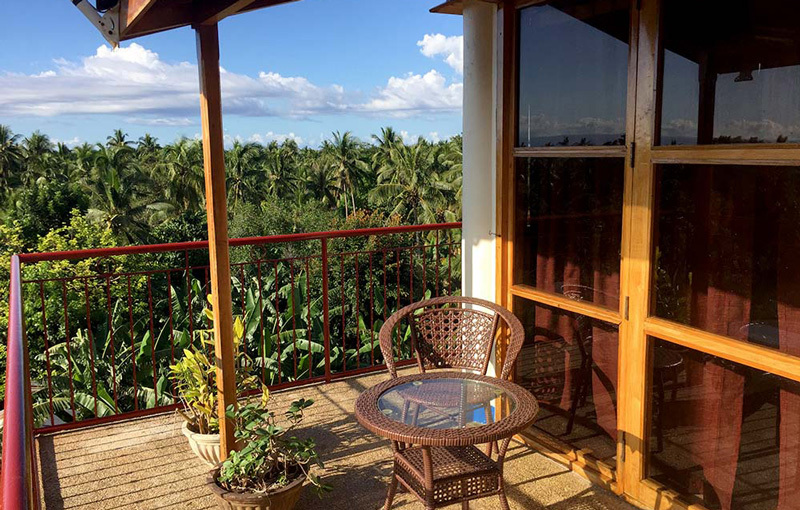 meters), each with a balcony overlooking the lush green surroundings. 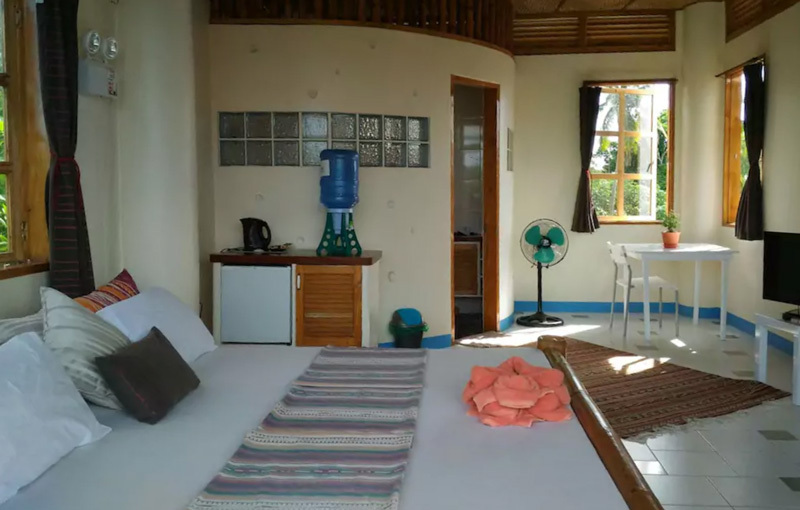 There is also 1 small studio on the top floor (16 sq. 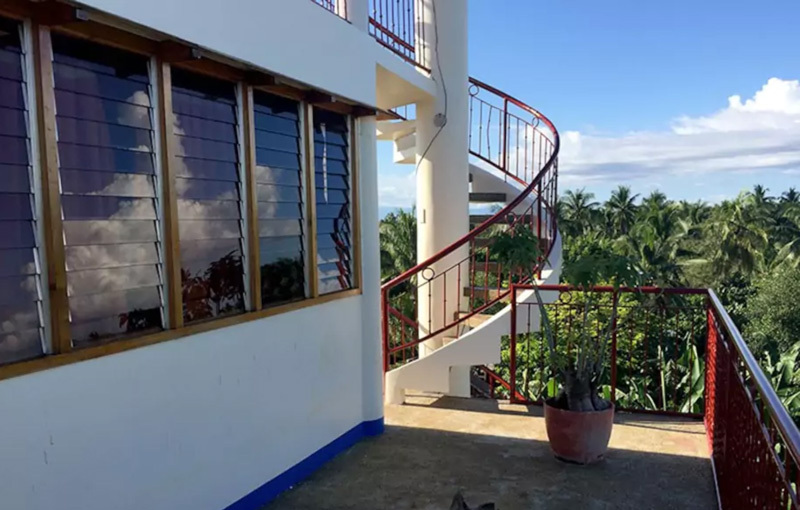 meters) with incredible panoramic views and a spacious terrace overlooking the entire island and the azure-colored Bohol Sea and neighbouring Doljo Bay. 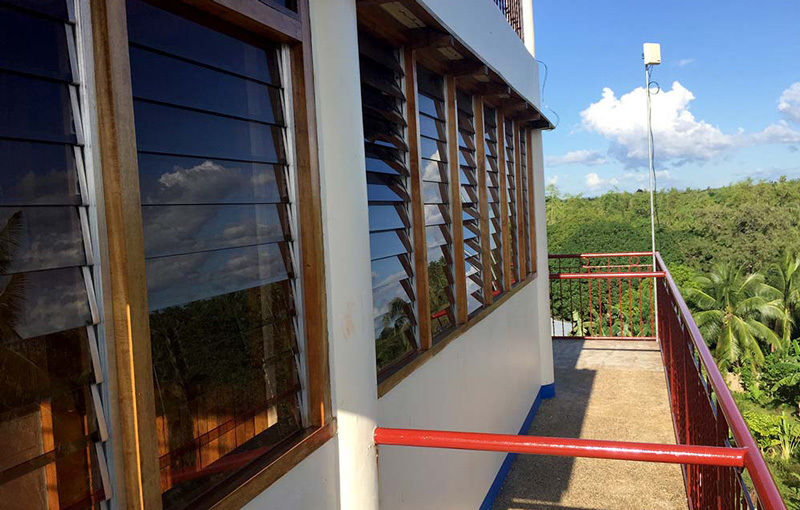 The tower has been constructed with windows on all 4 sides providing natural light and healthy natural air circulation. 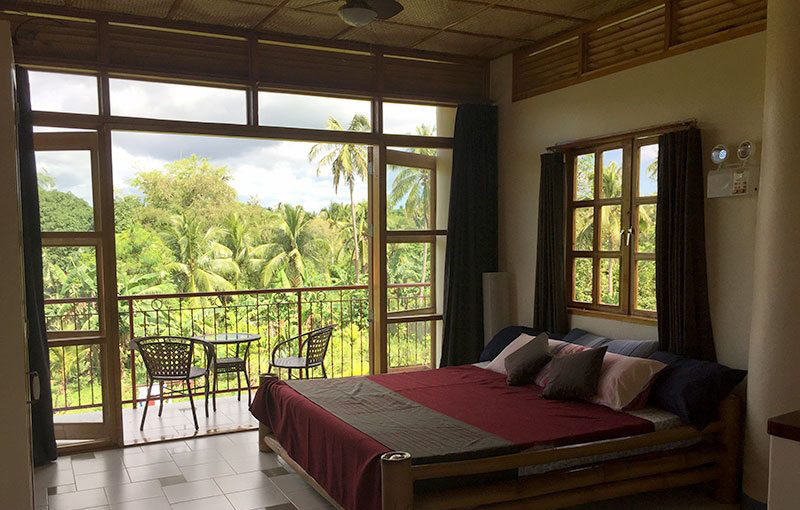 30 square meter studio room on the 2nd floor of the Tower with tiled floors and large balcony overlooking the lush surroundings. 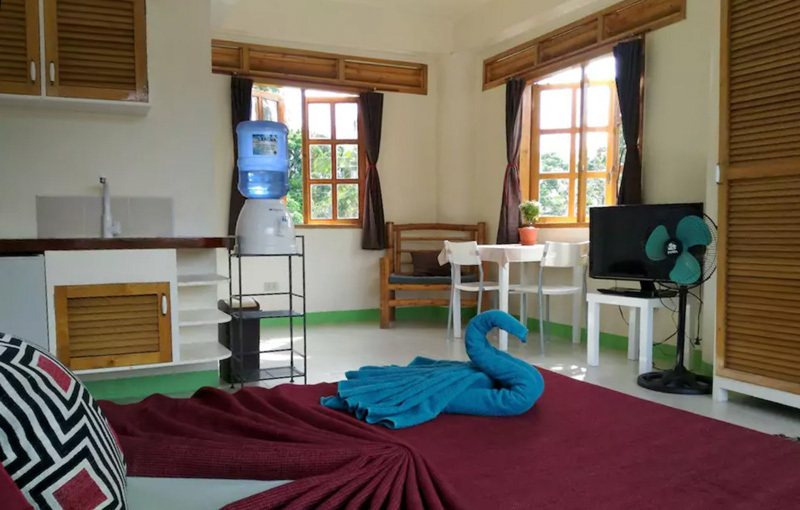 The studio is equipped with fast internet connection (WIFI), a queen-size bed, a ceiling fan, satellite tv and toilet/bathroom with shower. 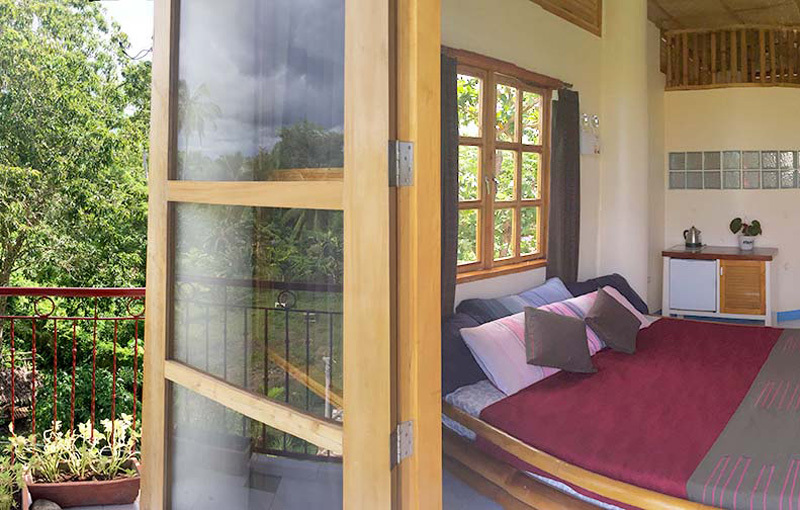 Suitable for two persons. 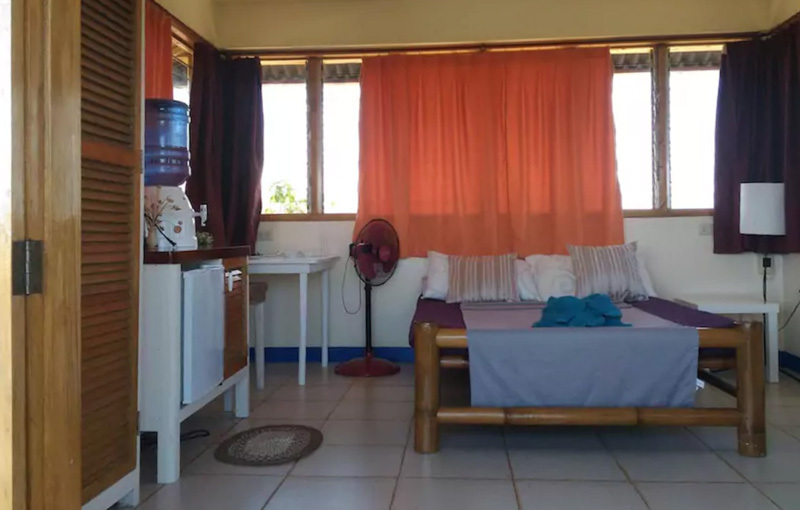 30 square meter studio room on the 3rd floor of the Tower equipped with fast internet connection (WIFI), king-size bed, an electrical ceiling fan, satellite tv, toilet/bathroom with shower, kitchenette with mini-fridge and a balcony overlooking the lush green surroundings. 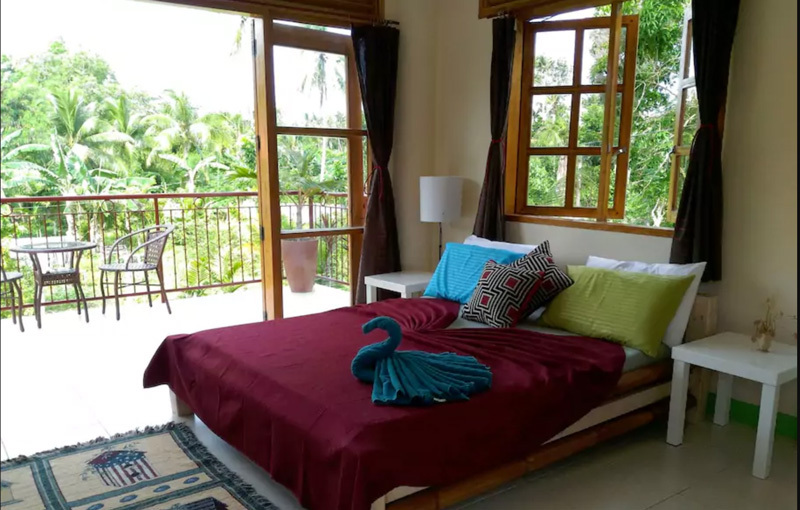 Suitable for two persons. 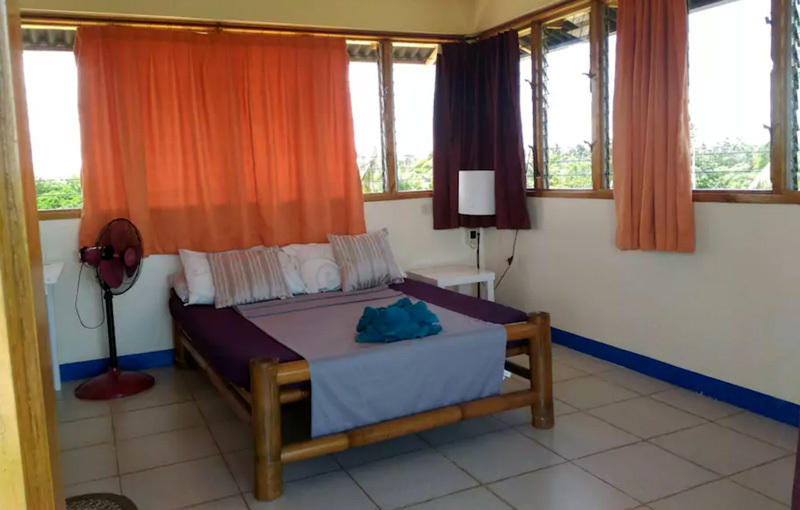 30 square meter studio room on the 4th floor of the Tower equipped with fast internet connection (WIFI), double bed, an electrical ceiling fan, satellite tv, toilet/bathroom with shower, kitchenette with mini-fridge and a balcony overlooking the lush green surroundings. 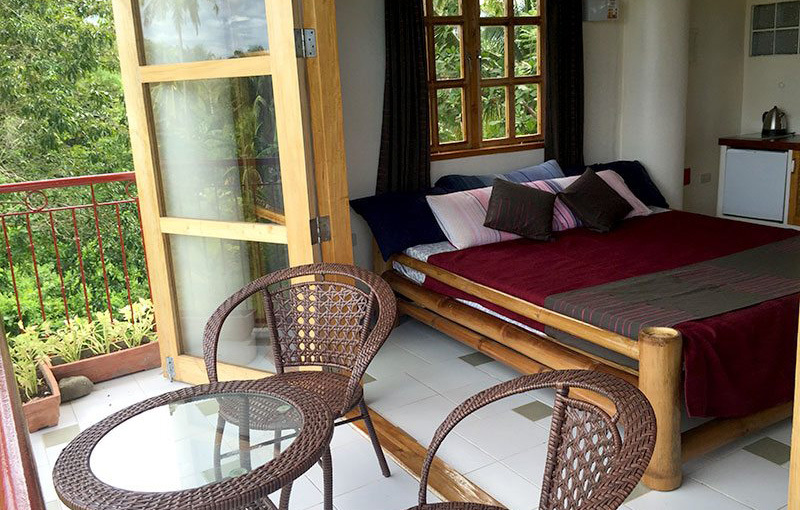 Suitable for two persons. 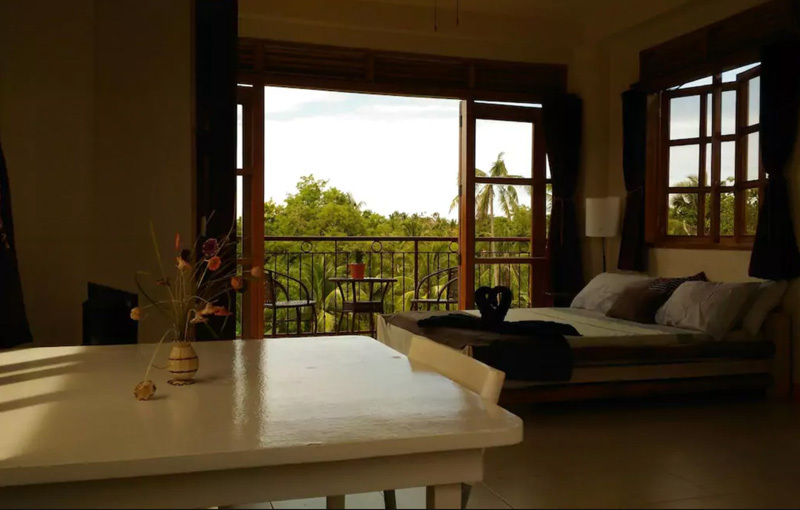 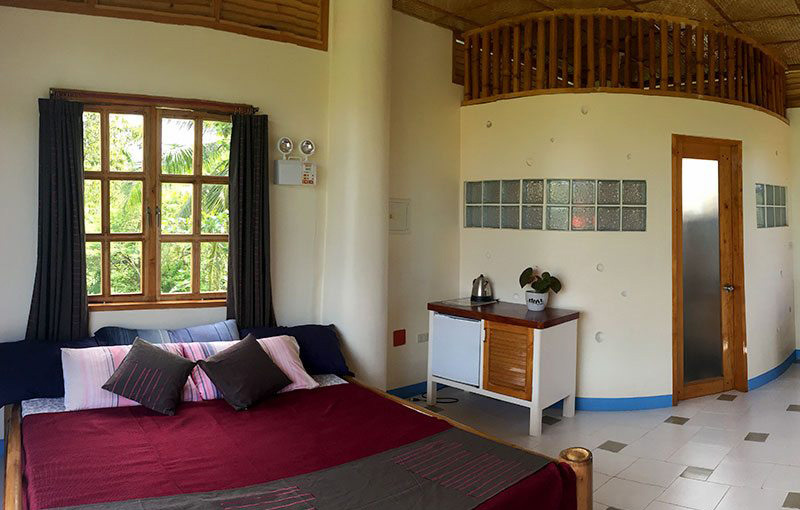 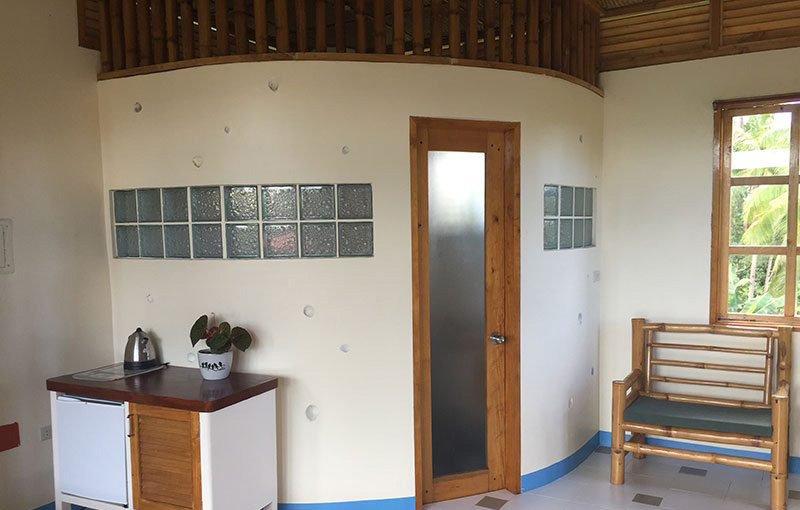 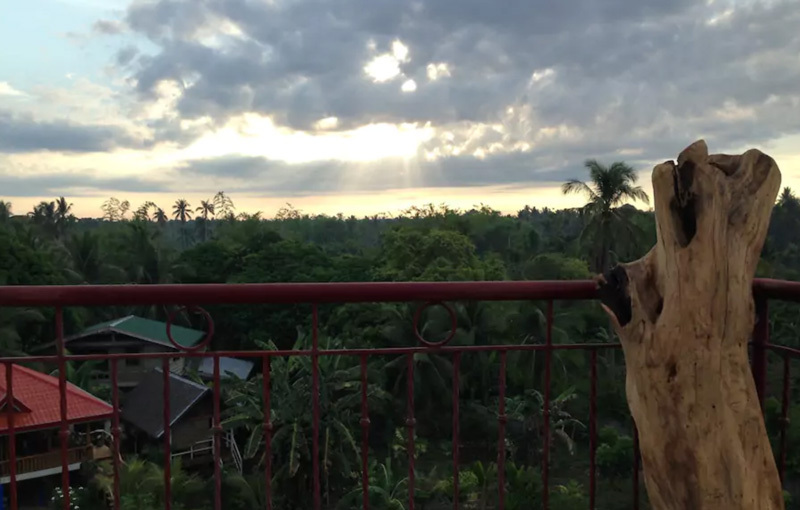 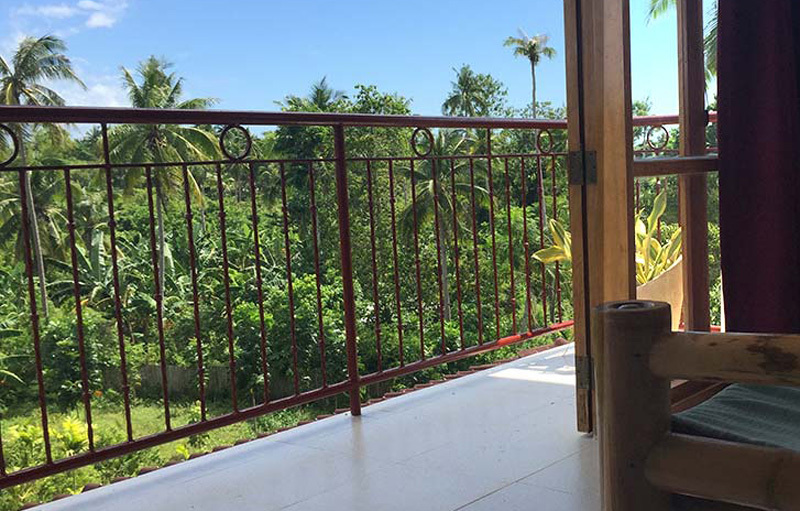 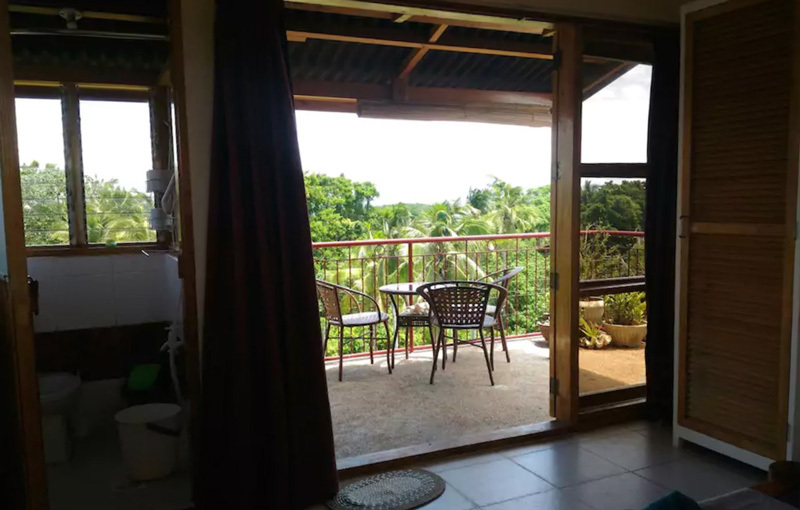 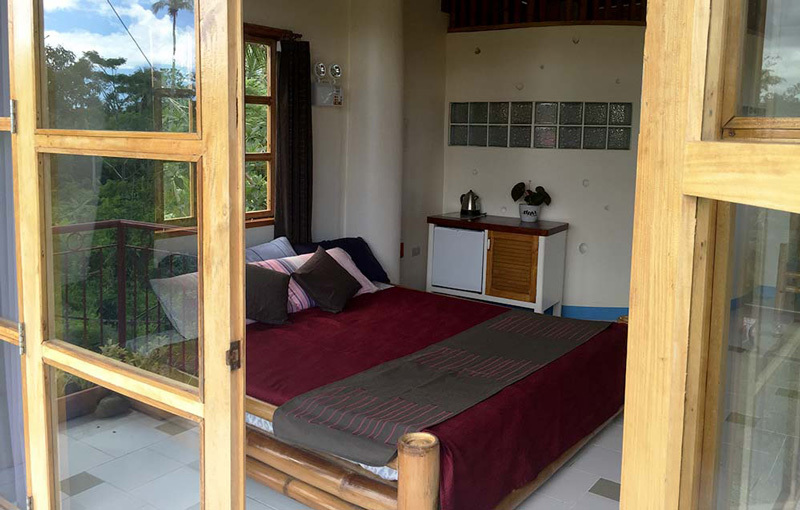 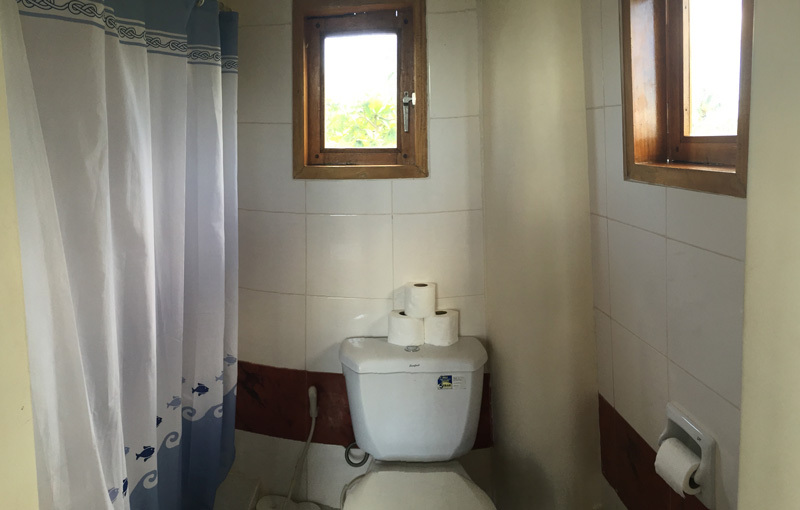 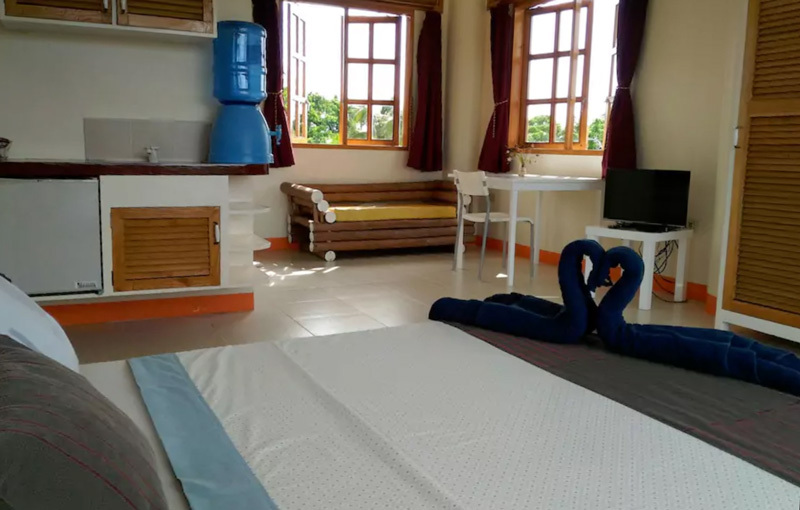 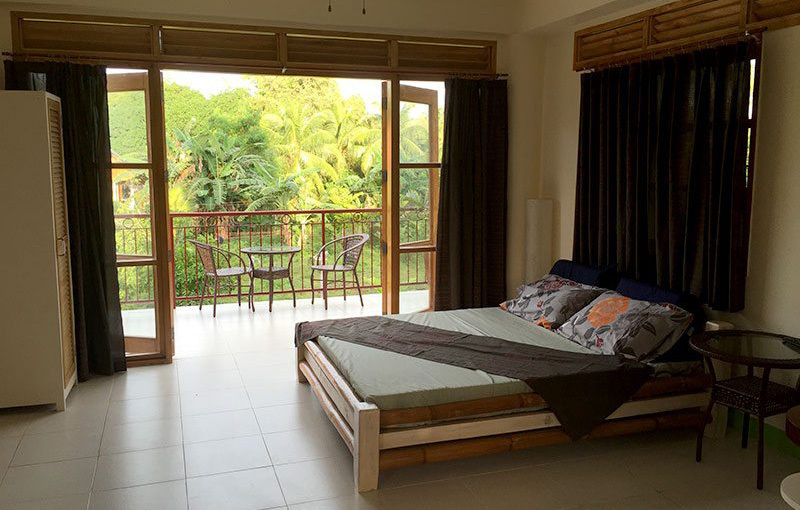 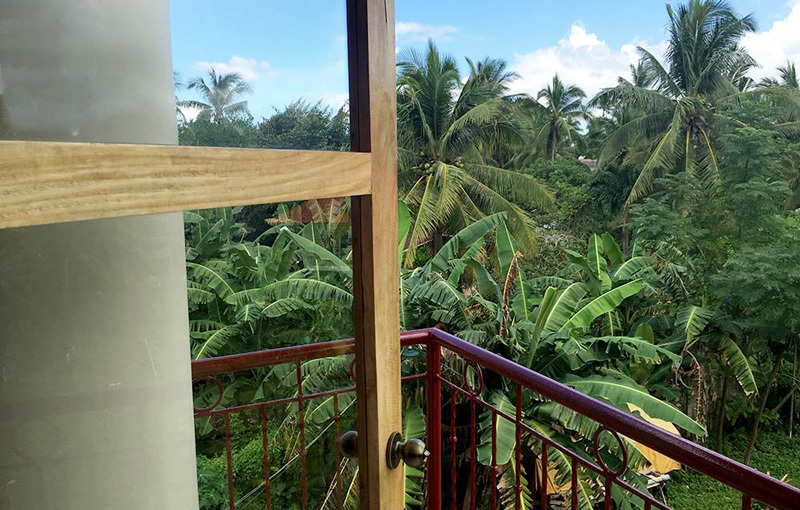 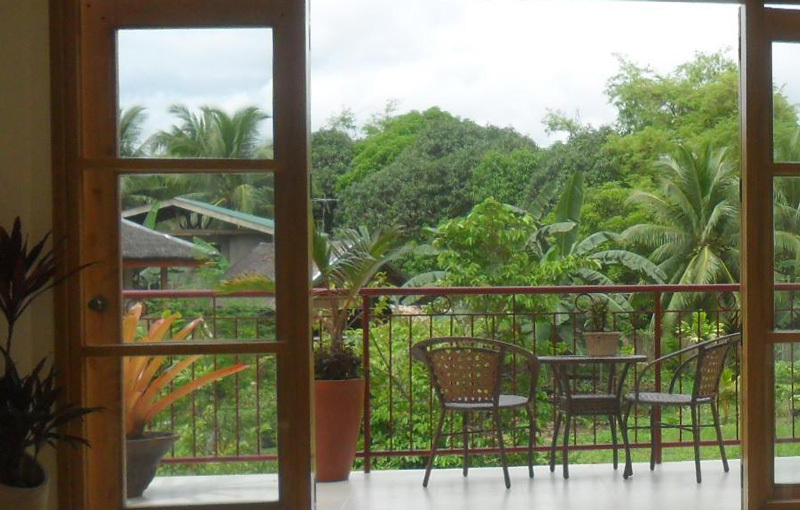 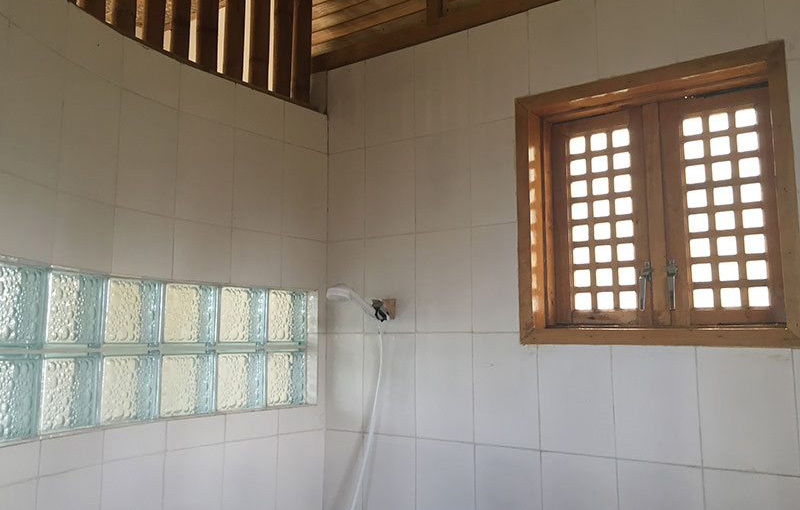 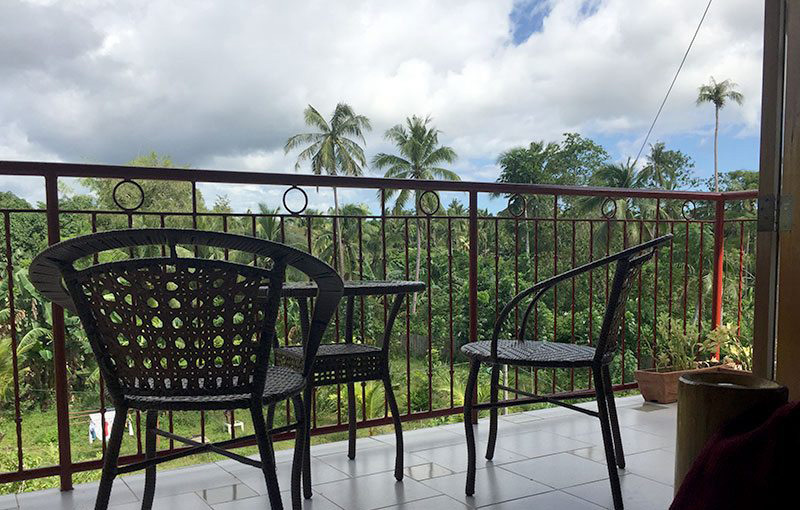 16 square meter studio room on the top floor of the Tower with panoramic views over Panglao equipped with fast internet connection (WIFI), double bed, an electrical fan, satellite tv, toilet/bathroom, mini-fridge and a large panoramic terrace overlooking the lush green surroundings. 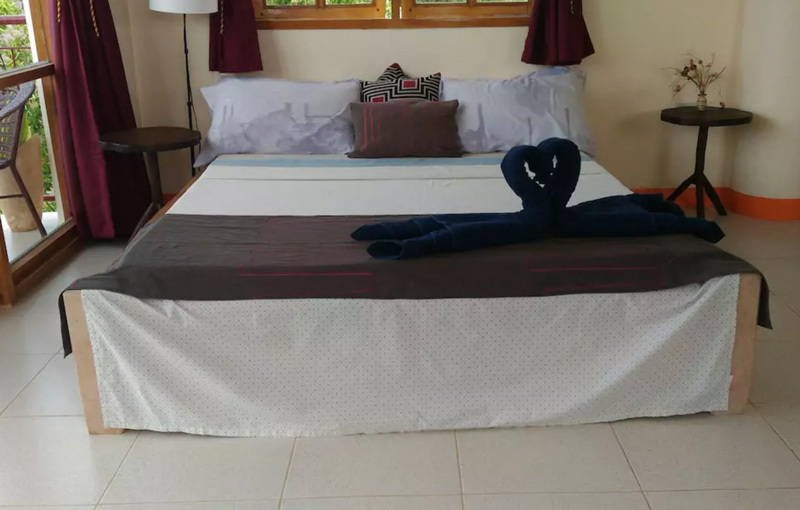 Suitable for two persons.